I need some info on Jazz...….. I must have that Megs! Still images really don't do justice to how shiny he is. There have been a lot of complaints about him being gray plastic, but when you see him in motion he appears to be mostly silver plastic with a few gray accent parts. I usually don't like that sort of contrast, but it works on a giant, monstrous alien robot. 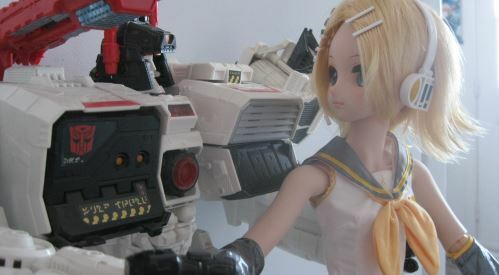 That's cool, and all but I need more info on the MPM Jazz. I really want to get that guy. 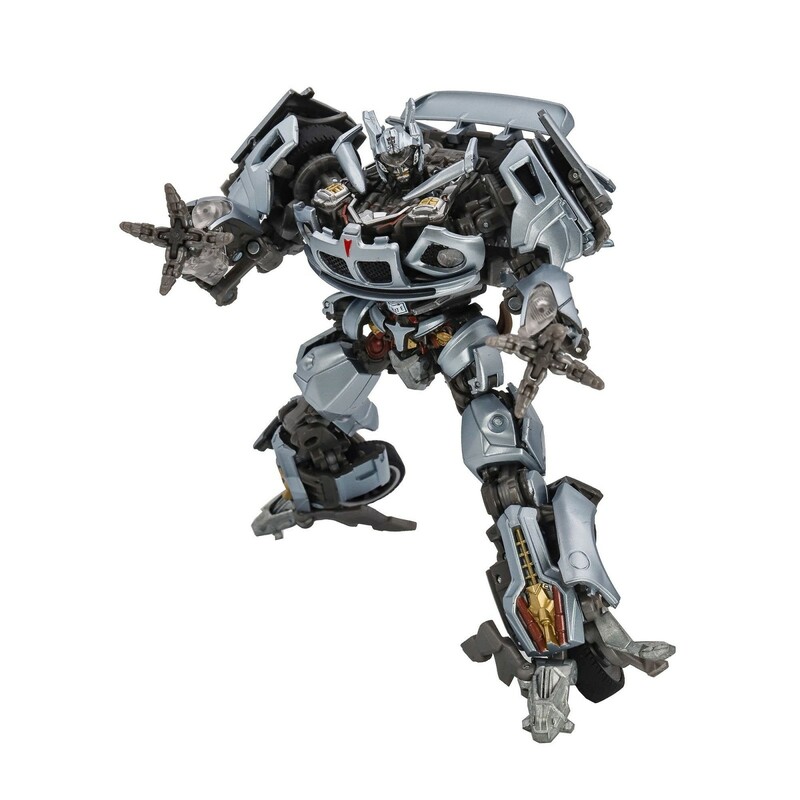 Anyone else find it odd that there’s a video review for this Megatron when we still don’t have one for BW Megatron, and he’s the one releasing in about a week? 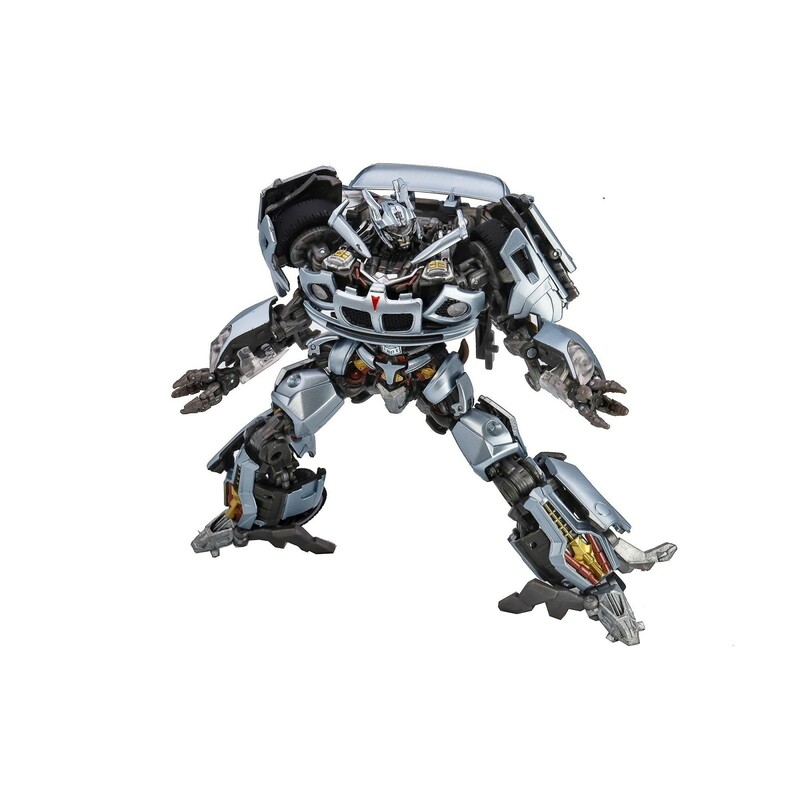 Nemesis Maximo wrote: Anyone else find it odd that there’s a video review for this Megatron when we still don’t have one for BW Megatron, and he’s the one releasing in about a week? Not at all. Hasbro doesnt have fixed schedules and serves the entire world while takara has strict schedules and only deals with Japan. We always get early reviews for Hasbro products while we get to experience Takara stuff the same time as the reviewers. 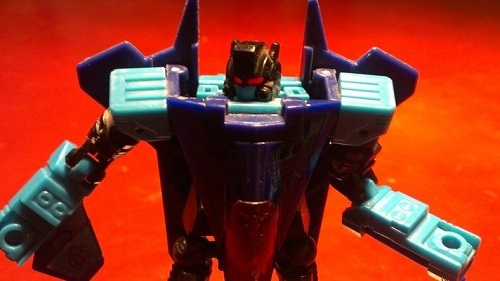 Is Hasbro more involved with Takara for MPM stuff than with other MPs? I thought MPs were part of the Brand Unification. Yes, 100%. Hasbro is not involved with the other MPs. Hence why there is such a difference in prices. Brand unifiction just means that there will only be 1 version of a toy regardless of who sells it. Right on. I genuinely didn’t think Hasbro was any more involved with the MPMs. But isn’t the Brand Unification also making it easier for Western consumers to get their hands on the other MPs? We’ve always had BBTS, TFS, and other Site Sponsors, but now Entertainment Earth and GameStop are getting MPs. Has that just always been the case, or is it more an effect of TRU going away? Nemesis Maximo wrote: Has that just always been the case, or is it more an effect of TRU going away? Definitely that part, since Entertainment earth grabbed many hasbro exclusives which would have been TRU exclusives had TRU still been around. But brand unification did also mean that Hasbro from here on out will just sell the same MPs takara makes by importing them. With the MPMs, it's different. It seems MPMs (well their continuation) are a Hasbro initiative, from what I read and they partner with takara for design, parts count, all that. They control the budget more which explains why Megatron who is bigger than any other MP of late is still 160 instead of 300. 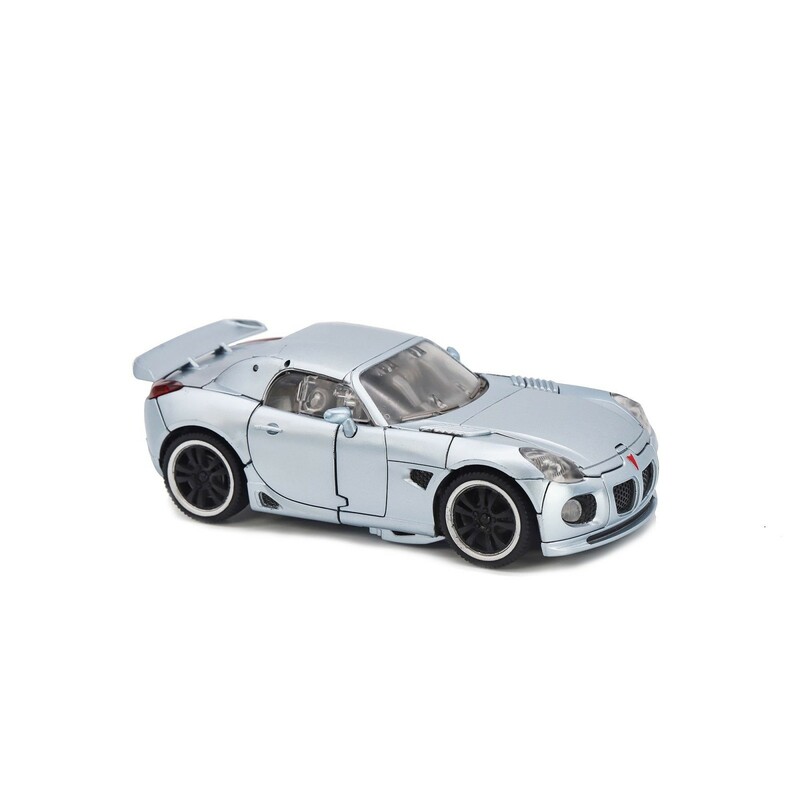 They also deal with the marketting aspect and they do pay takara to develop those toys (they don't for the other MPs that's all by Takara from begining to end). They are not simply importing them. MPMs and MPs are entirely different toylines and Hasbro is involved directly with one and not with the other. Gotcha, that all makes sense. Thanks WJ! Always nice to have a constructive conversation, especially when I learn something new! Thanks to a heads up from Seibertronian Bucky, we have word that Hasbro Pulse, the new Hasbro Website, has opened up another new Pre-order, and this time it is for the upcoming Movie Masterpiece MPM-9 Jazz! 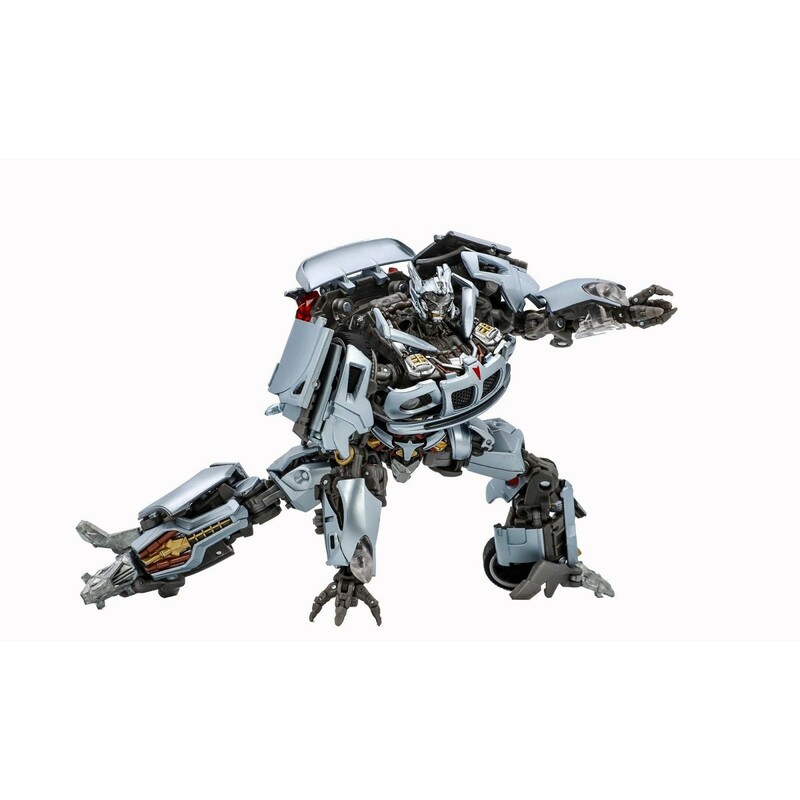 MPM-9 Jazz is a brand new Masterpiece figure that tackles the smallest member of the original 2007 Live-Action film's Autobot crew. Jazz is the 4th member of the 5 strong Autobot team from that movie, and transforms from robot to Pontiac Solstice GXP. Jazz has been rendered in incredible detail that sees even his back replicate his on-screen appearance. 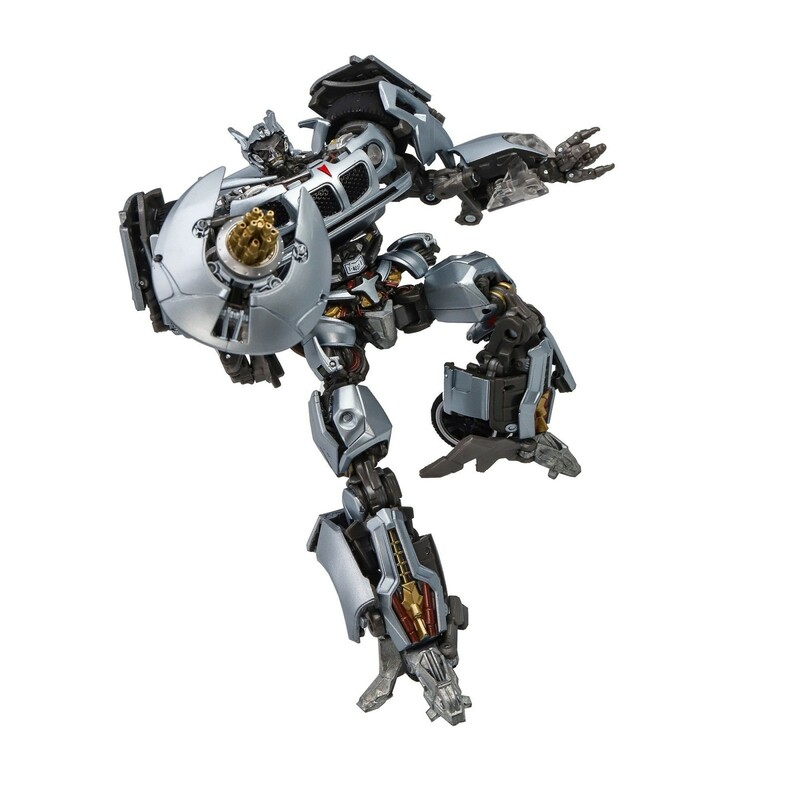 He comes with his crescent shaped cannon, a Sam Witwicky figure running with the Allspark, and a spinal piece so he can re-create his death scene from the movie at the hands of Megatron. 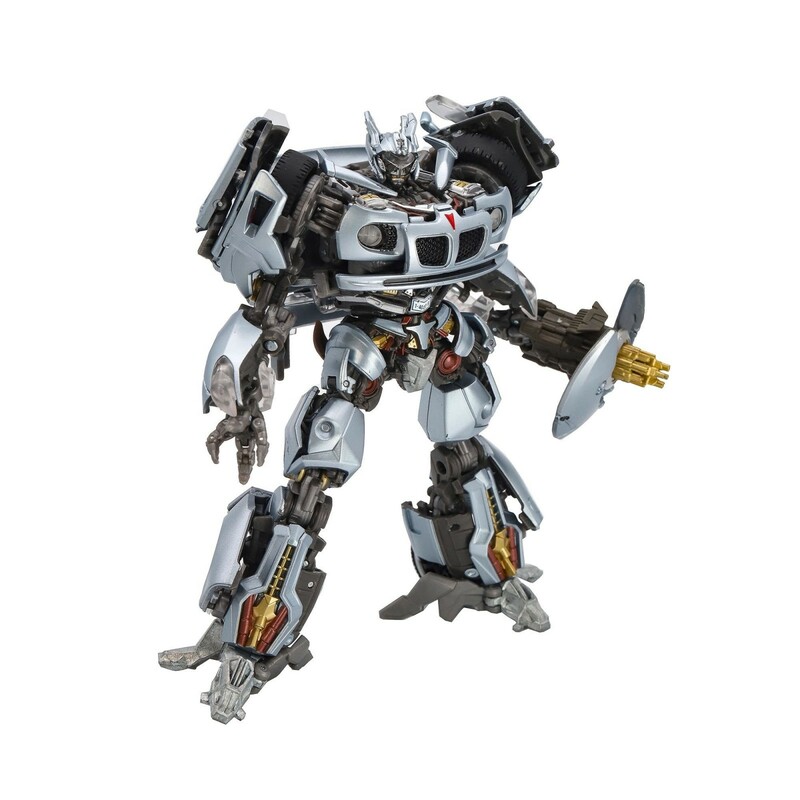 Jazz's pre-order price is $89.99, which is right around the same price as both Bumblebees and Barricade, and he is due out November 1st of this year, only about 3 months after the mighty Megatron. You can follow the link HERE to go place your pre-order, or you can click any of the images below. 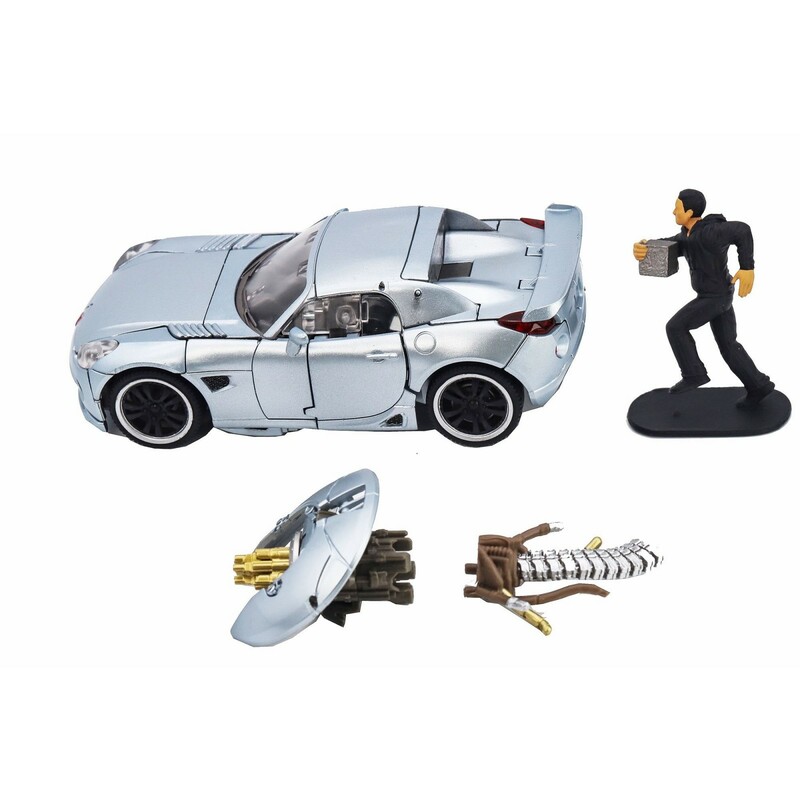 Hasbro Pulse charges pre-order cost up front, so know that you will be paying for Jazz right now if you choose to place your pre-order here. The pre-orders will run through May 17 for Hasbro Pulse. So far so good, but the question remain. Thank goodness they're making MP figures in which I have no interest! Thanks Hasbro - this is saving me a bundle! I am ready for him. so stoked for the MPs. I am loving the movie love! DeathReviews wrote: Thank goodness they're making MP figures in which I have no interest! Thanks Hasbro - this is saving me a bundle! Do you get off hating on Bayformers or what? Because like clockwork, for every featured articles, you MUST let the world know that you hate bayformers. The movieverse is now 12 years old and it's NOT over. About time you get over it. Don't get your hopes up. DeathReview is just a hit-n-run bay-hate poster. Meaning he post via the newsfeed only once to spew his hate, never bothering to enter the thread itself. I basically spoke to a brick wall. Motto: "Slag 'em all and let Primus sort 'em out"
I'm wondering if he is going to have waist problems and breakage there... Too soon still? Who says Cybertron Optimus can't hold his matrix with two hands? -Kanrabat- wrote: So far so good, but the question remain. I think if you dig through either the NYCC or the Wonder(winter? )Fest coverage... one of those had shots of his back... if I recall correctly it was pretty clean, with the rear end/spoiler back there, which was an aspect we never saw much. I don't remember seeing any "hood backpack" which was traditionally the issue. There is no back kibble, although the tail lights on his back may be faux parts. 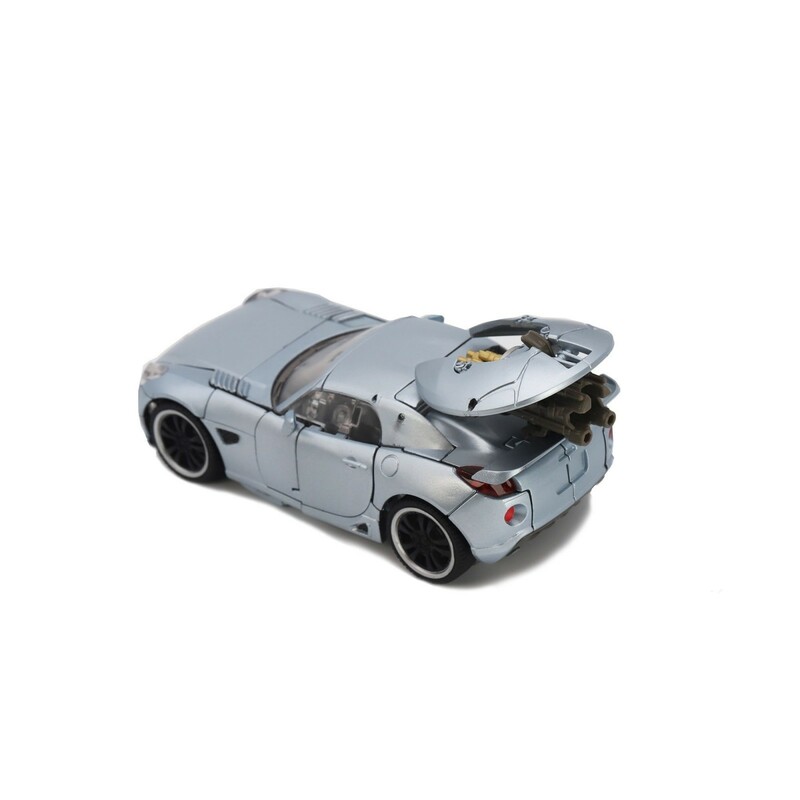 Otherwise, it's a very clean back, like with MPM-3 Bee. 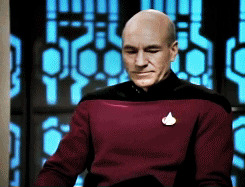 Epsilon Delta wrote: I'm wondering if he is going to have waist problems and breakage there... Too soon still? Aww man. I was making a joke about Megatron ripping him in half. Haha oh well. Maybe next time my joke will be better! He looks very screen accurate. I have no idea why they made the Human Alliance line, that's Masterpiece scaled right? As for getting him, no chance. I like some Bayformers, mostly the ones that didn't say anything at all. Dislike practically all characters and story points. 3,975 pages were recently viewed by 703 unique visitors. This page was viewed 1 times on Wednesday, April 24th 2019 2:48pm CDT. © 2019 Seibertron, Inc. DBA Seibertron.com. All Rights Reserved. Established June 2000. Seibertron.com is owned by Ryan Yzquierdo.